According to the most recent data from the Centers for Disease Control and Prevention (CDC), around 600,000 will die this year from heart disease in the US. That’s 25% of the total annual deaths in the country, making heart disease the most common killer in the US. But death isn’t the only thing those with heart disease have to worry about. Emerging studies are showing a startling link between heart health and hearing loss. Understanding this connection may not only give you extra willpower to protect your heart; it may also help you keep your hearing. If heart disease can do all of this. It’s easy to see how it may increase your risk of developing hearing problems. 75% of people over 70 who have hearing loss also have heart disease according to a study published in JAMA Otolaryngolog–Head & Neck Surgery. Heart diseases is a slowly progressing disease. If you have it, it likely started long before your current age. 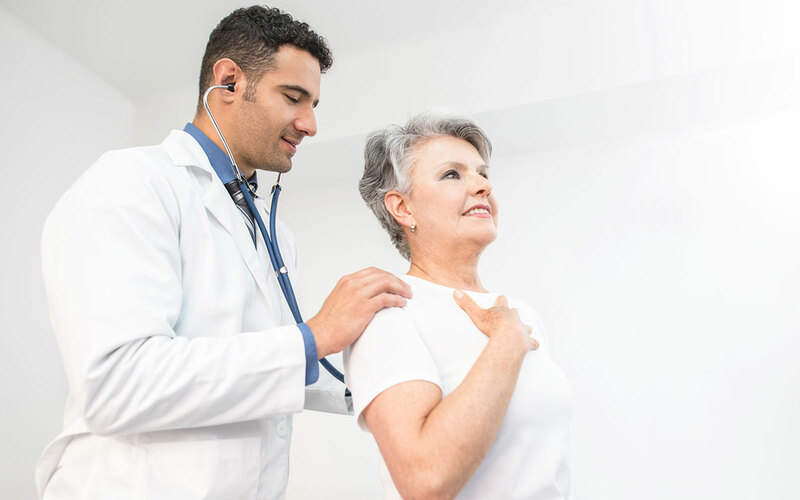 Researchers now believe that hearing loss may actually be one of the first real warning signs a person gets that their heart is unhealthy enough that you’re causing permanent damage. The inner ear where hearing takes place contains some of the most fragile and irreplaceable cells in your whole body. You have tiny hair cells that dance with the vibrations that sound waves make. Your brain interprets these movements as different sounds. If these hair cells are damaged or killed, they do not grow back. Over time, a person with noise-induced hearing loss loses these hair cells. The sweet sound of your daughter’s voice sounds distant and distorted. You find yourself turning the TV all the way up just to hear your favorite show. If you misunderstand people frequently or keep asking, “what?” you may want to go ahead and schedule that hearing test. Unlike most parts of your body, your inner ear only has one main artery supplying it with oxygen and nutrients. If this one artery is blocked even for a very short time, cell death can occur. High blood pressure, narrowed arteries, a blood clot, cholesterol buildup could all reduce or cut off this supply. An artery may bulge and leak, getting less blood where it’s needed. Think about this next time you’re having an argument with your son about his parenting style or a frivolous purchase. As your blood pressure is rising, your face feels hot and pressurized. Your cheeks turn red. It’s easy to see and feel what’s happening on the outside. But on the inside, you may be doing damage to your hearing. The effects may come in the form of tinnitus (ringing of the ears) or hearing loss. Like so many connections, links and correlations, the cause-effect relationship isn’t necessarily clear or one-way. There’s also research that links loud noises (often the cause of hearing loss) with heart problems. A study of men in their mid-30’s showed that loud occupational noises like those experienced in factories may make the heart beat faster and the blood pressure rise. Another notable study of people 70+ with hearing loss found that the worse someone’s (untreated) hearing loss is, the less likely they are to stay physically active as they age. Lack of physical activity is a leading cause of heart disease. Get your hearing tested annually from the time you first start noticing a change, even a minor one. Or get it tested if you’re at high risk due to noise-exposure, chemo, etc. For more tips and information that helps you hear at your best, keep following our blog.